How living in a smart home will enhance the quality of living? Technology has always shaped the way we live, work, travel and enjoy leisure time. It has re-imagined the way we communicate professionally and personally. The top tech companies globally are constantly innovating to design and produce stylish yet creative products that are aimed at enhancing our lives and, ‘making life easier and simpler’. Probably, the most emerging market and beneficiary of these leaps in technology, is the smart home sector. Sensory and tech immersive movies such as Iron Man and Black Panther left us gasping at the breadth of technology adopted into living spaces which make lights come on as humans enter, or touch sensitive gadgets, remotely driven cars, artificial intelligence, home systems and, biometric locks and safes. Smart Homes today are not as cutting edge, but they are definitely more technology enabled than the homes our parents lived in. With the advent of smart cities, technology has made it to our homes as well. There is a lot we can do or actually ‘need not do’ around the house, thanks to technology. How often have you misplaced keys or racked your brains trying to remember or needed to go to your neighbour’s house to collect a spare set? What if, however, you could simply unlock your front door with your fingerprint, voice or a digital card? Brilliant, isn’t it! Some smart homes even have doors which can be unlocked via password or pin entered into an app on your phone. This also means you can let your relatives or friends into your home instead of having them wait till you come home. With digital keys, which can be remotely enabled or disabled to maintain security, senior citizens need not worry about forgetting keys! home from a tiring and hot day? For professionals today, who are constantly on the move and use devices and gadgets to simplify their work day, home automation has become a key feature while house hunting. It is absolutely liberating to walk out of bedrooms, bathrooms or the apartment without worrying about whether the lights and fans have been switched off or if the gas has been turned off. Sensors installed around the house detect human presence and ensure that there is no wastage of electricity. Ovens and stoves installed with sensors, detect gas leakage and ensure safety. Companies at the cutting edge of technology are designing ever more sensitive sensors designed for living spaces and smart homes. 1. Safety and security – There can be no doubt that AI, sensors, digital technology provide a high level of security. Increasing incidents of crime have pushed people to protect their home and loved ones. Technology provides a much needed armour of security. 2. Millennials and their love of tech – Millennials’ love of technology means they can never have enough of it and they happily accept it wherever they go. Homes that hum with sensors, automation systems and programmable gadgets are naturally their havens. 3. Style never goes out of Fashion – Devices and gadgets keeping getting sleeker and more stylish. So it’s fun to have a cool looking device around the house that controls your home theatre system or is the command center for your home automation system. 4. Quality and standard of life – Safety, security, remote controlled electronics, stylish home automation devices add to the quality of life as they do more while you do less. Smart homes are designed to elevate one’s standard of living. 5. Smart Homes to match Smart Cities – As our cities zoom towards becoming smart cities with solar powered street lights, expansive wi-fi networks and integrated traffic management, our homes need to get with the programme too, and what better way than a smart home for a more integrated smart life. At Ozone Group, we are proud to present our project Pole Star in Bangalore which is aimed at the tech-savvy homebuyer. These RERA registered apartment towers offer a limited edition of Smart Homes. Technology is at the center of Ozone Pole Star which boasts highly innovative One Touch features such as gas leak sensors, occupancy sensors for toilets and digital door locks. Pole Star is also located opposite the Manyata Tech Park near Nagavara which is useful for residents working here who can enjoy a 10 to 20 minute walk to work. 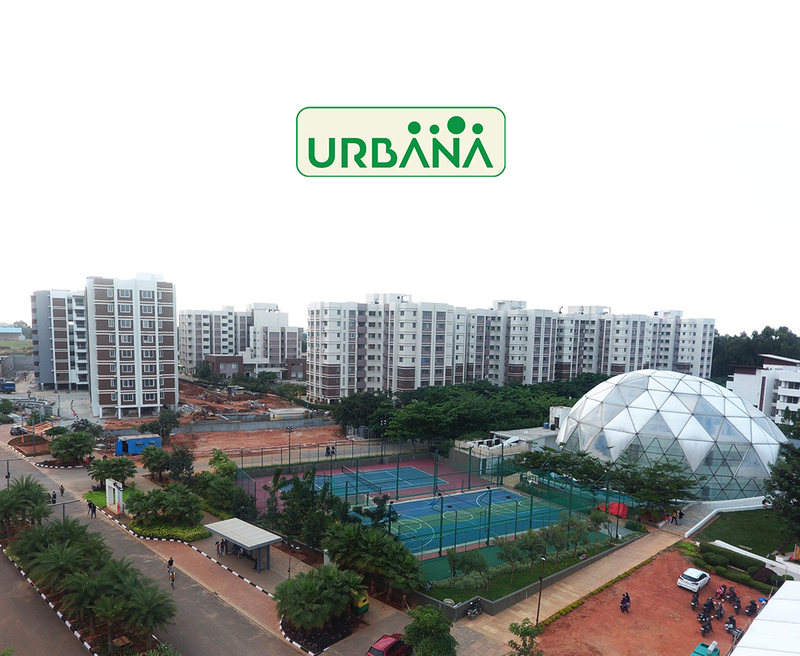 Ozone Pole Star is an innovative residential offering with a thoughtfully planned technology ecosystem.